Barbering is big business and the industry is getting bigger. Men continue to become more style conscious and have increased spending, visiting barbers more regularly. Work with Reflections Training Academy to become part of this thriving industry. We deliver Barbering NVQ apprenticeship qualifications at our Birmingham and Bristol Academies. 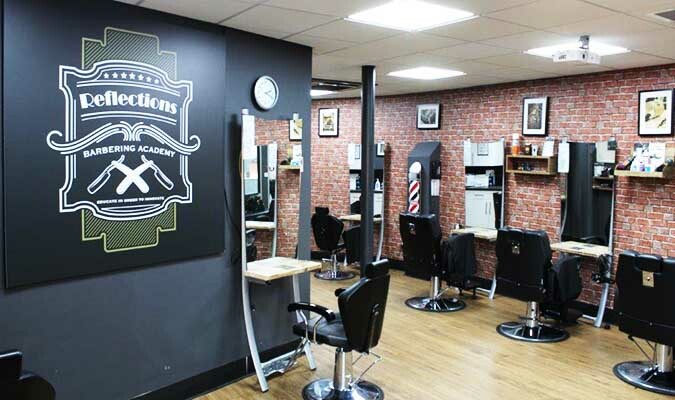 Our Barbering tutors will work with you throughout your qualification and help you gain the skills and confidence needed to become a pro Barber. You will be provided with models to practise all the aspects of Barbering with a very hands on approach in our practical sessions and have access to our excellent training resources for theory sessions.